In the past few years of city builders, Blue Byte’s Anno series has had a low-key presence. Anno 2205 released in 2015 but faced its fair share of criticism for simplifying the gameplay and core appeal of the franchise. Though Anno 2070 was rated higher, the series had peaked at Anno 1404 aka Dawn of Discovery with its Renaissance-era premise and complex gameplay catering to the amateur economist in all of us. 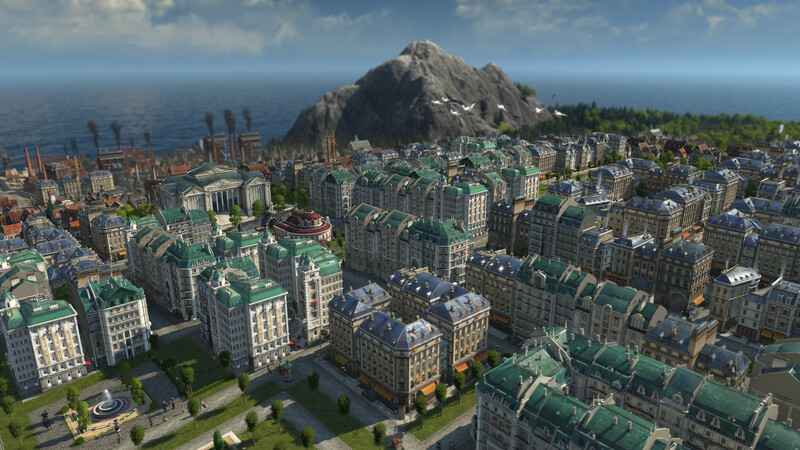 Thankfully, with Anno 1800, Blue Byte has gone back to its complex roots while presenting a spectacular journey into its addictive machinations and city management. 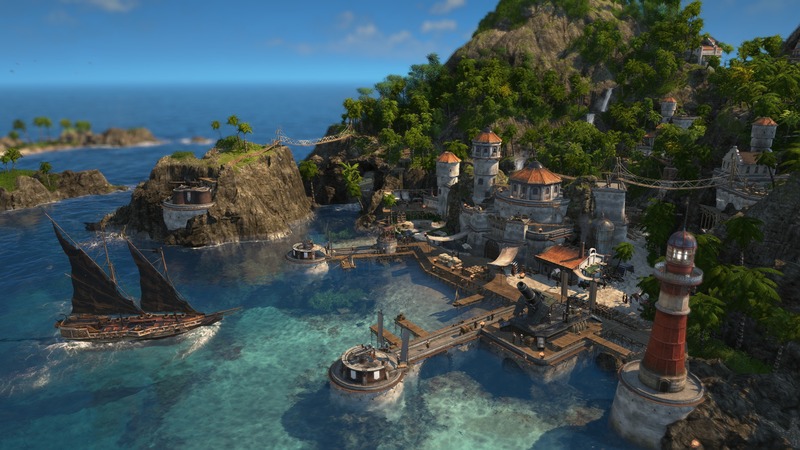 There’s no renaissance here – Anno 1800 is all about the Industrial Age. The campaign starts by offering a peek at smog-ridden factory districts while highlighting the beauty of 19th century architecture and housing. Your character is returning home after a long absence, fulfilling a request from their younger sister Hannah to attend your father’s funeral. Once greedy uncle Edvard usurps your family’s company, Goode and Sons, it’s off to a new island to establish a rival organization and make your own mark in this age of cutthroat competition. "So with all that out of the way, what do you do in Anno 1800? Long story short, a lot." 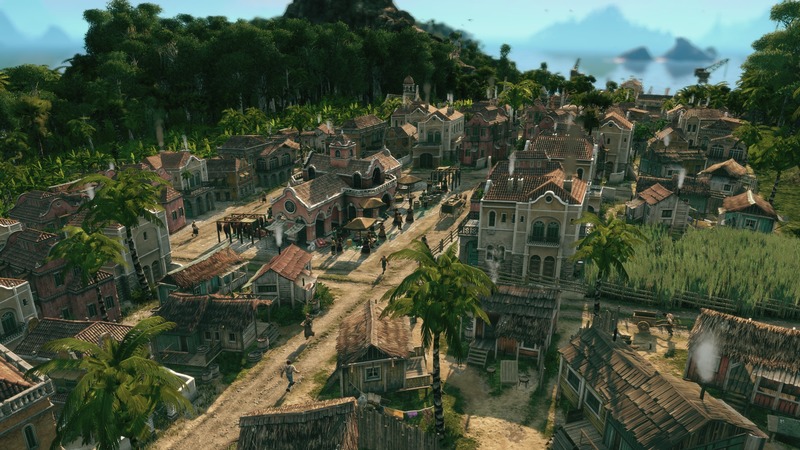 Anno 1800‘s campaign doesn’t take long to thrust you into the action and regardless of how you choose to play – with more guidance or less – there is a structure to setting up your quaint little village. Eventually you pick up some disenfranchised workers and set to work on expanding to a port town (and beyond). 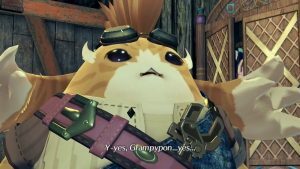 With a few lengthy chapters, the campaign does a great job of educating you in various mechanics, presenting both likable and despicable characters along with a surprisingly compelling story. I won’t spoil it but it’s a good way to learn all the essentials of Anno while also getting those war hands dirty. 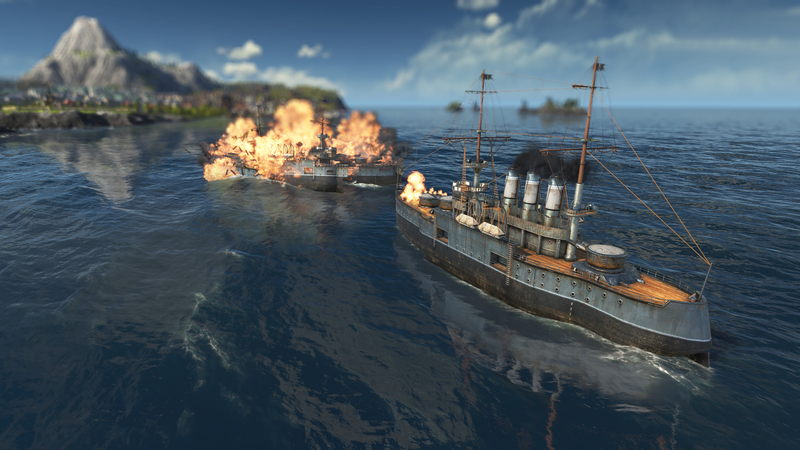 However, Anno 1800‘s true heart lies in the Sandbox mode. It’s the mode where you’ll cut your teeth, choosing starting capital, frequency of events and so on from three different presets. A Custom preset is also available if you want to tune specific victory conditions, factions, adjust island size, island type, and whatnot. Maybe you want to roll the dice and see what random world the game has to offer. An indicator in the Custom game menu helpfully showcases just how much easier or harder the game is becoming as a result of tweaks. So with all that out of the way, what do you do in Anno 1800? Long story short, a lot. It starts with setting up residences and a market to attract farmers, who will become necessary for bringing in fish to feed the populace. From there, they’ll be managing texture mills, logging cabins, timber mills and so on, storing all goods produced into warehouses. There’s a clear structure of production from the outset with wood being a basic necessity for building but each subsequent step adds more requirements and different classes to your society. "To that end, you’ll need to strike out into the world and meet your neighbors. There are a number of different factions, each capable of helping or hindering progress." For example, if a farmer residence is happy enough – which is done through a steady supply of clothing, food and easy access to the port and market – they can be upgraded to a worker household. This opens up a whole new tier of buildings and services but also creates new needs. The happiness level of your workers will eventually allow them to be upgraded to artisans, opening up even more possibilities for glass manufacturing, canned goods, sewing stations and what have you. Keeping everyone’s happiness in mind is important and can be influenced by meeting their basic needs as much as making them feel safe with police stations and firehouses. A new class doesn’t automatically make the previous ones obsolete. You’ll still need farmers to tend to the fields and workers to help smelt iron and produce steel beams for those fancy guns on the harbor. However, you also have to ensure you’re not building recklessly – taking on too much maintenance cost without enough output can result in losses. It also doesn’t help if your output storage is full since different industries will sit idle, eating up Credits. Setting up trade routes, settling on a different island with additional resources and divvying up enough citizens to ensure no shortfall in productivity are just some of the basics in Anno 1800. To that end, you’ll need to strike out into the world and meet your neighbors. There are a number of different factions, each capable of helping or hindering progress. Princess Qing may reach out to you in peace and be amicable to establishing trade rights. On the other hand, Beryl O’Mara will be much less easy to impress, turning down any flattery (while still remaining peaceful of course). Don’t worry though – there will usually be quests for increasing reputation among the factions. You can also ask for a quest, though its best to ensure you have the resources available to complete it. "Blueprint Mode comes in mighty handy for planning your cities beforehand, letting you place outlines for different buildings without committing the resources necessary." That’s not including the pirates led by the likes of Anne Harlow who will hunt down your ships if they should be in the wrong neighborhood. Naval fleets become a necessity in this regard. You can also declare war on your neighbors and amass a fleet capable of destroying rival islands, taking their valuable resources for yourself (or getting absolutely wrecked by their defenses). Establishing trade routes is beneficial for transporting goods between islands that are lacking in certain departments. No red pepper fertility for canned goods? Just transport the goods from another island. Simplifying trade with charter routes is neat but Anno 1800 brings back the regular trade routes, letting you plan trips across numerous islands while only requiring maintenance costs (and your own ships, of course). As your society develops, there are various other extraneous factors to keep in mind. The Newspaper will regularly publish your accomplishments and failings. In an interesting twist, you can edit negative news for the sake of avoiding conflict with your citizens. However, if you stick to publishing the truth, other factions will appreciate it all the more. Blueprint Mode comes in mighty handy for planning your cities beforehand, letting you place outlines for different buildings without committing the resources necessary. Once the resources become available, the building can be created accordingly. "The various ages flowed naturally, quests came by at a regular clip, and random events never felt too oppressive." The Trade Union is also worth noting since it can provide lower maintenance costs for surrounding industries. Completing quests for citizens like delivering specific resources or snapping photos of fire stations for their young’uns will award different Trade Union items. These offer different benefits but be careful – the negative effects might tip the scales a little too far in the other direction. For instance, the Circular Rip Saw increases productivity by 40 percent but also increases the risk of fire by 20 percent. Similarly, the Drill will increase both productivity and maintenance cost by 25 percent. Eventually, you can chart an Expedition to the New World. The latter is essentially 19th century South America and provides various unique goods like Cotton to trade back. The journey to get there can be rough as various conflicts like rabies, mutiny and murder crop up. It’s up to you to decide how things should be handled so make sure the ship in question has enough rations to spare before departing. If it wasn’t already obvious enough, Anno 1800 is a daunting game even with the very helpful tutorials and hints. City-building is only one aspect of the experience. 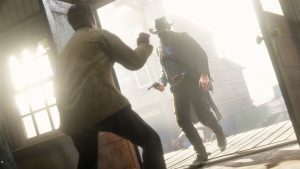 Managing relationships with other factions while competing for resources and growth, ensuring your industries aren’t polluting the neighboring residences, maintaining a strong amount of attractiveness (there’s an entire end-game surrounding ornaments), quickly addressing disasters like fires and riots, the list goes on. The various ages flowed naturally, quests came by at a regular clip, and random events never felt too oppressive. That was on the Normal difficulty though, where my only real problem was building too much, too quickly and not effectively setting up trade routes. It can be tough to pick up at first but it’s never too outrageously paced. "Anno 1800 serves as an incredible return to form for the series, taking it forward with a drive and determination befitting its industrial setting." Thankfully, the user interface helps keep everything seamless despite all the complexity bustling under your fingertips. As production lines for different resources become more convoluted, small pop-up tabs will indicate the different buildings required to produce the required goods. Diplomatic choices are cleanly delineated; pollution and attractiveness ratings are easy to assess; and hopping between ships and your home island feels snappy. Right-clicking brings up a radial menu for different options like demolishing, building and moving houses which also helps. Perhaps my only real complaint about the interface is the lack of scaling for icons and text. I got used to it over time but the ability to increase the size of UI elements would be great. Even with the smooth interface and overlays, Anno 1800 is a complex game. However, it also feels dense and rich which is further reflected in the production values. Anno 1800’s world is simply gorgeous. The texture work and foliage, water physics, animation work and even the atmospherics all looked incredibly good with solid performance throughout. Though a few settings had to be toned down, there were never any crippling slowdowns and the attention to detail apparent as your citizens wander around your city, children play in school and so on is incredible. Heck, just hovering over a farmer as they address your arrival and go about their business is great. Blue Byte absolutely nailed the soundtrack as well which floats between majestic and morose tones seamlessly. Voice work is similarly excellent though the lip-syncing on portraits in the campaign seemed off more often than not. Fans have looked back on the Anno series for years now and felt comfort in the past. Looking to the past, both in theme and gameplay mechanics, isn’t Anno 1800’s greatest triumph. It’s capturing the soul of the franchise and reinvigorating it with a compelling gameplay loop that makes it so endearing. Its economics may be tough to get a solid grasp on, the trade routes may take some finagling and that “high” chance to compliment your neighbor may not pay off at times. 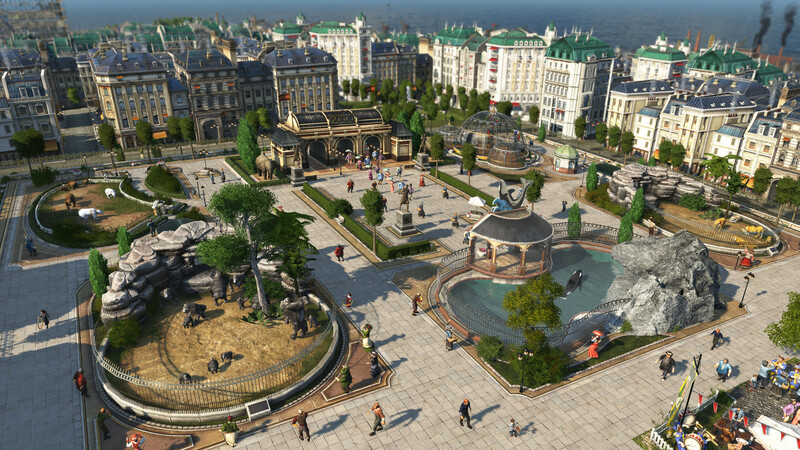 However, Anno 1800 serves as an incredible return to form for the series, taking it forward with a drive and determination befitting its industrial setting. Stellar production values, from the symphonic music to the textures and animation work. Excellent new features like Blueprint Mode and Newspapers. Expeditions and The New World offer challenging twists in addition to the compelling economic gameplay loop. 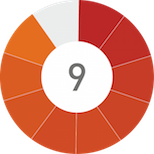 User interface makes everything easy to access and manage. Managing one's economy while balancing attractiveness, industrialization and happiness is made incredibly compelling. A few minor bugs here and there. Lip-syncing in some portraits seems off in certain scenes. Lack of UI scaling. Can be fairly daunting to get into.